What makes an idea revolutionary? Sometimes merely taking a concept that is tried and true in one application and fitting into a new application will revolutionize the new application. Take, for instance, automotive all-wheel drive systems. Their use in heavy trucks and extreme off-road vehicles is well known. But when the engineers at Audi modified an all-wheel drive system they had designed for a military vehicle to fit into Audi sedans, it revolutionized the performance and safety of passenger cars, and made Audi a dominant force in the high-performance world of international rallying. 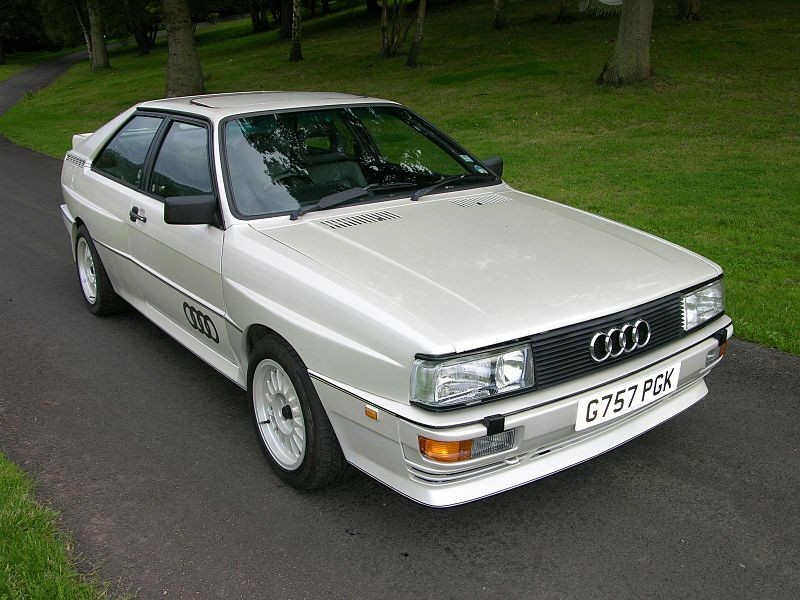 The Audi quattro made its public debut in 1980 at the Geneva Motor Show. Based on the Audi 4000 Coupe, the quattro was powered by a 2.1-liter, longitudinally-mounted, turbocharged inline five-cylinder engine. Why a five-cylinder engine? According to the Audi engineers it was simply a pragmatic decision—“Four cylinders didn’t give us enough horsepower and six cylinders didn’t fit in the available space” ahead of the front axle. The engine also used a single overhead cam to operate the two-valves per cylinder and an intercooled turbocharger to supply the boost. 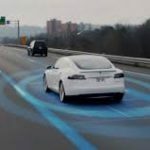 But the real innovation couldn’t be seen from the viewing stand—it was a full-time all-wheel drive (AWD) system that had not heretofore been seen in a sports coupe. The genius of the quattro was in the compact differentials that enabled the AWD system to fit within the confines of a passenger car without a major increase in ride height. A center differential normally split the input torque from the five-speed manual transmission 50-50 between the front and rear differentials, but could be locked for maximum traction. The rear differential could also be locked in conjunction with the center differential to give drivers enhanced grip on loose road surfaces. The permanent all-wheel drive system was relatively simple in operation and was light in weight—ideal for passenger car use. 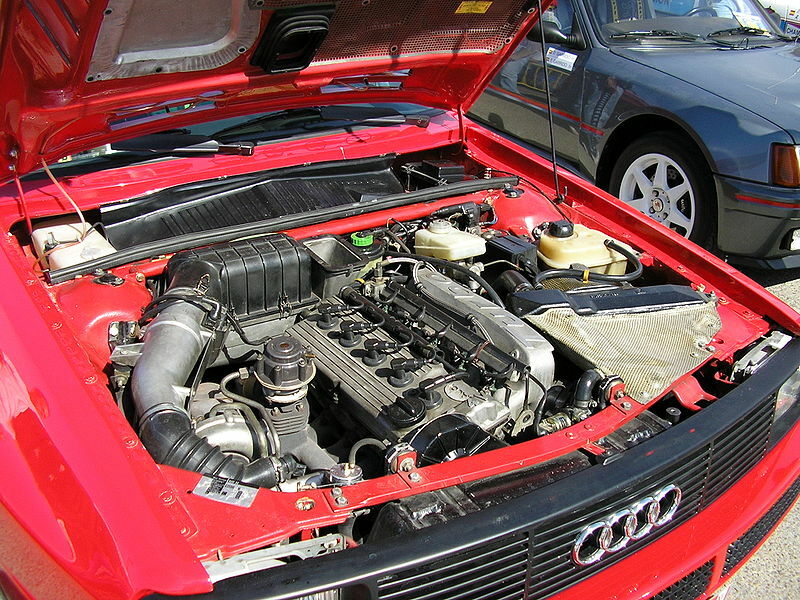 The quattro’s turbocharged five-cylinder engine sold in the North American market produced 160 horsepower at 5,500 rpm and 170 pound-feet of torque at 3,000 rpm. In other markets around the world, the quattro engine was rated at 200 horsepower. Now compared to today’s performance cars, those figures don’t seem to be too impressive, but you have to consider them in light of the times—the contemporary Mustang GT 5.0 made 157 horsepower and the Porsche 911 SC engine produced 172 horsepower. The output of the quattro was right in the performance car ballpark. In North American tune, the quattro’s zero to 60 mph time was around eight seconds with a top speed of 130 mph. There was considerable turbo lag under 2000 rpm and to get maximum performance out of the car, the driver had to carry speed into and through the turns to keep the revs up. The turbo lag was not to be taken lightly—Audi’s championship rally driver Hannu Mikkola says of the turbo lag, “The sudden surge of power is so brutal, you think you’ve been hit from behind by a five-ton truck.” Audi’s chassis engineers did their best to give the quattro superior cornering—the quattro had independent suspensions front and rear, each with MacPherson struts, coil springs, and anti-roll bars. The quattro’s rear suspension was a clever bit of engineering by the Audi team, using Audi 5000 front suspension bits turned around backwards accomplishing the intended purpose while minimizing complexity and development time. Audi began work on an AWD car in the mid-1970s. Jörg Bensinger and his engineering team were working on a small, off-road military vehicle with four-wheel drive and Jörg approached Ferdinand Piëch, who then led Audi’s product development team and Walter Treser, Audi’s pre-development director about the idea of a passenger car using the AWD system then under development. 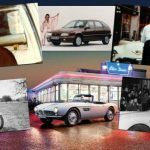 Both agreed with Bensinger there was relevance to a conventional passenger car, especially cars used in wet and snowy conditions, and Audi management gave the project the green light. The Audi GT Coupe was chosen as the vehicle, with fender blisters added to cover the increased track of the soon-to-be-named quattro. While the public was intrigued by the quattro, Audi recognized the need to educate and convince potential buyers of the superiority of the full-time all-wheel drive system over the conventional two-wheel drive system and the best way to do that was to enter the World Rally Championship (WRC). 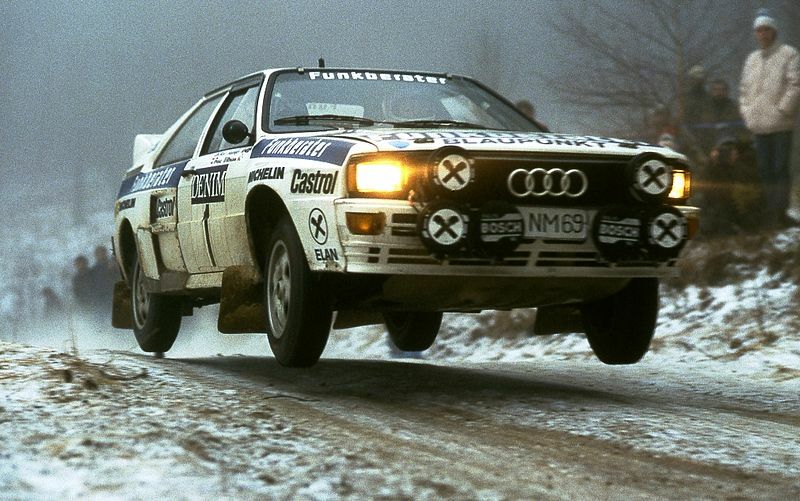 In 1979 the FIA had changed the WRC rules to allow four-wheel-drive cars, but by the time the rally quattros were ready for the Audi rally team in 1981, they were the only AWD cars in the WRC. And they were competitive right from the start. On a snow-covered road only 10 km into the first special stage of their first rally in 1981, Audi driver Hannu Mikkola caught and passed a two-wheel drive Lancia Stratos that had started one minute before him—it was then that Audi realized that the quattro was a rally super car! The Audi rally team, with Hannu Mikkola and Michèle Mouton driving, won three WRC rallies in 1981 and Michèle Mouton became the first woman ever to win a WRC rally. It was a successful year, but Audi was just getting started—the quattro would go on to win the WRC manufacturers championships in 1982 and 1984, and finish second in 1983 and 1985. 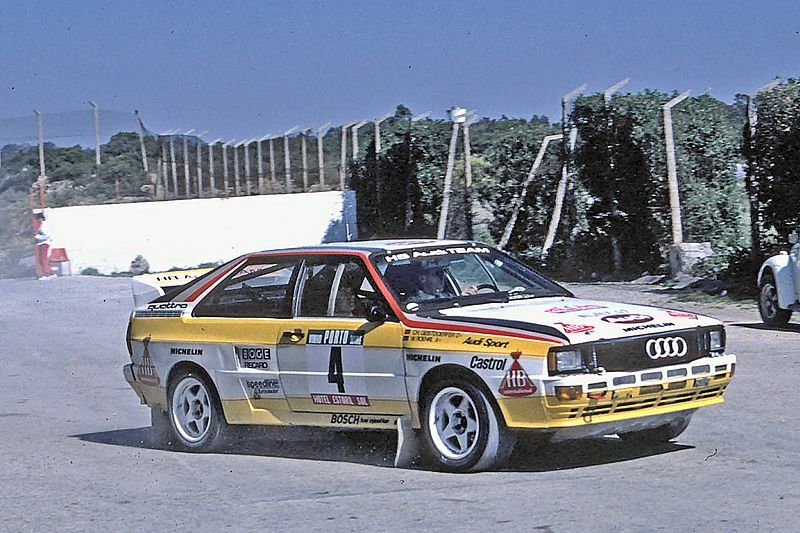 Audi drivers Hannu Mikkola and Stig Blomqvist won the WRC driver’s championships in 1983 and 1984, respectively. 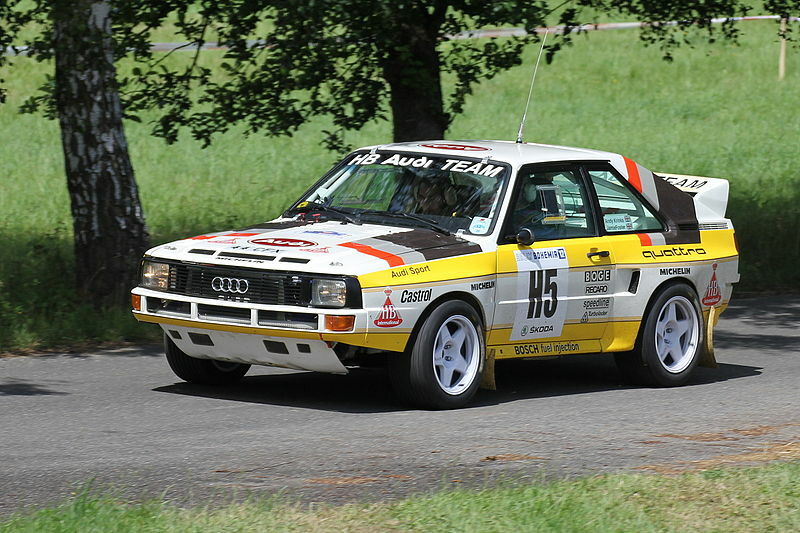 In every year between 1982 and 1985, the Audi quattro finished first or second in the manufacturers championships, and quattro drivers finished first or second in the driver’s championships. Between 1981 and 1985, Audi drivers won 23 WRC rallies—without a doubt, Audi proved the superiority of their AWD system on all types of road surfaces. When you’re looking at Audi quattro photos you may notice some that strike you as being a little odd. After some study, you conclude that the car in the photo resembles an Audi quattro, but it’s noticeably shorter, like someone cut a chunk out of the middle of the body just behind the door openings and put the two ends back together. 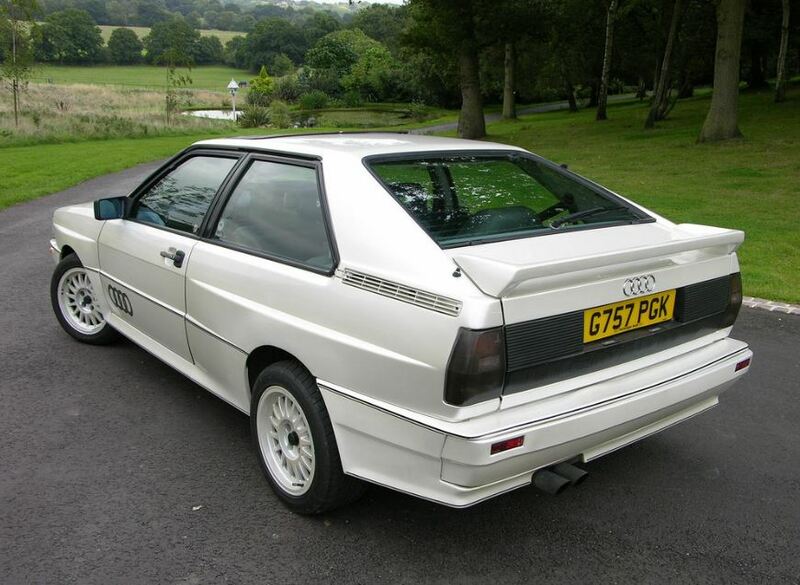 What you are looking at is an Audi Sport quattro, and shortening the body and chassis are exactly what Audi did. After the WRC season of 1982, the quattro needed a boost in performance to stay ahead of the competition and Audi shortened the body and chassis by 12.5 inches giving the car a wheelbase of only 86.8 inches. 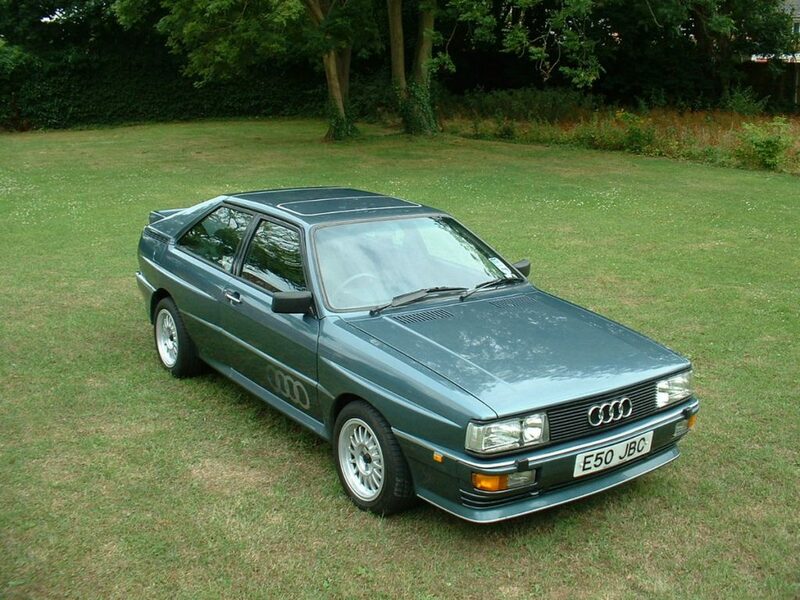 Only 224 Audi Sport quattros were made during 1983 and 1984 with about 20 heading to the competition department for a full rally competition conversion. The rest were sold to hard-core enthusiasts for about $75,000 each. 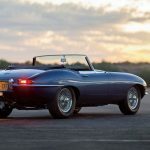 In addition to the reduced length, the engine was modified with a DOHC head with four valves per cylinder, upping the output of the 2.1L five-cylinder to 301 SAE net horsepower for the street version and a whopping 450 horsepower for the competition version. 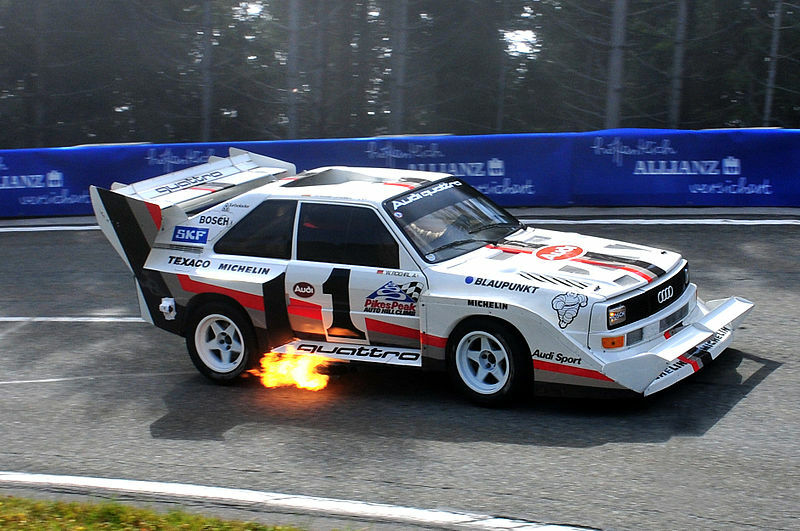 The Audi Sport quattro had a top speed of over 150 mph and a zero to 60 mph time of about five seconds. The performance of Group B rally cars increased every year since their introduction in 1983 and by 1986 they were among the fastest race cars in the world. Their incredible speed coupled with the impossibility of controlling an ever-increasing number of fans spread out over a point-to-point race course, as one might imagine, resulted in several serious accidents involving spectators. Consequently, the FIA banned all Group B cars following the 1986 season. Audi withdrew from active WRC participation in 1986 because of the crowd safety issues and the fact that they had proved all they wanted to prove—that the AWD system is superior to a two-wheel drive under all road conditions. The snarling, popping, exhaust-flame-shooting quattros piloted by the some of best rally drivers in the world are now legends of the past. But Audi’s quattro drive system is still around and with today’s improved electronic controls, is better than ever. 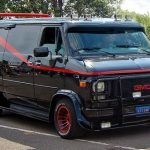 To answer our initial question of what makes an idea revolutionary, there is no doubt an idea that survives 38 plus years in the rapidly changing world of automotive design qualifies as revolutionary. Our FIA WRC video will give you an inside view of the Audi quattro at speed and show you some of the crazy crowds in the heyday of Group B rallying. Notice that the cars are at the absolute limit of controllability, yet the spectators stand right at the edge of the road and sometimes in the road with nothing but air between them and the cars. Next Would You Buy A Car From A Vending Machine?